Truth by Kbaig: Not Only Memo Scandal But Investigations should be Held over Issuance of Illegal Visas to US Agents..! Not Only Memo Scandal But Investigations should be Held over Issuance of Illegal Visas to US Agents..! 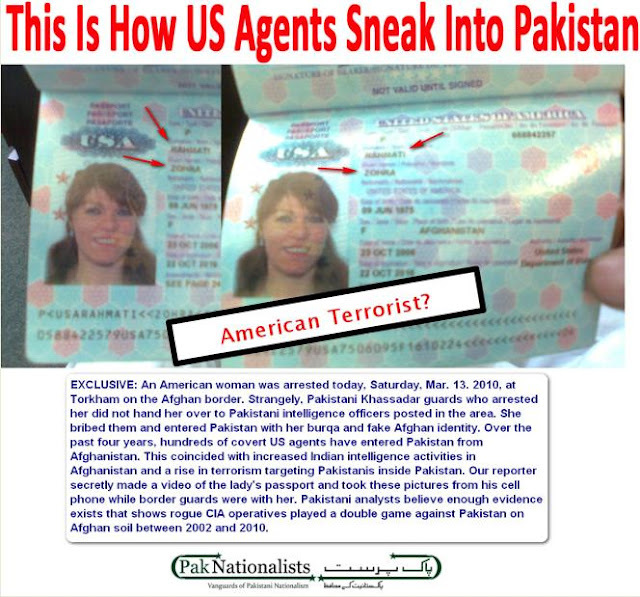 A US female terrorist who entered into Pakistan with Afghan Identity while wearing veil. 16 ex-officials of USA, 4 members of US Congress and 24 investors have met Hilary Clinton or in their letters to her have informed US govt. that life of ex-Ambassador to USA, Hussein Haqqani is endangered. They have also demanded that US govt. should ask Pakistan to assure his safety and investigate him without torture. Now God knows who has told them that Hussein Haqqani is in the Police Station or being tortured while he was in the Presidential compound as guest and now in the compound of Prime Minister. In spite of this USA has expressed concerns about safety of Haqqani (US agent). In this regard USA (United Satanic Alliance) has forgotten all diplomatic morals that Hussein Haqqani is a Pakistani citizen and required in an extremely important scandal linked to integrity of Pakistan (The role of USA in instability and terrorism in Pakistan is highlighted through such US acts) and facing investigations. These investigations are being held by a higher commission formed on the Supreme Court of Pakistan. There is no doubt that USA has no respect for sovereignty of Pakistan, sovereignty of Pakistani judiciary, Parliament or emotions of Pakistani nation but does this mean that we allow USA (United Satanic Alliance) to play with the integrity and stability of Pakistan (as these dictators are playing with the rights of Americans)? The investigations of Memo Scandal are limited to Mike Mullen via text messages sent to him over black berry (for which Haqqani was forced to resign) but role of USA in this scandal cannot be ignored who has been busy in conspiracies (and terrorism) in Pakistan since a long time for her damn interests. Due to such stubborn and hypocritical policies of USA not only Pakistani public consider themselves as enslaved to USA but few US scholars also take Pakistan as a country under control of USA. In his book “Cutting the Fuse” Professor Robert Aape has denoted Pakistan as INDIRECT OCCUPIED COUNTRY. According to the author Pakistan is the only country which has pushed itself towards verge of destruction of US interests and in contrast to the so called 5 billions of US aid has born the loss of 500 billions, excluding the lives of 40,000 innocent Pakistanis including security personnel killed in the activities of US terrorists. While in spite of so many sacrifices USA is still thirsty for Pakistani blood. Perhaps Pakistani people have no more power to quench the American thirst for blood as sacrifices for USA (United Satanic Alliance). This is why the gulf of disputes created by the Raymond Davis is growing in spite of getting filled up even after one year of the incident. Now the reason behind the further worsening the tension is American interference in Memo Scandal relating Hussein Haqqani which is purely internal affair of Pakistan. Here this is the demand of the hour that including memo scandal the issuance of 6700 visas without any security clearance to US contractors/rented soldiers (terrorists) should be investigated due to which terrorists of notorious Black Water like Raymond Davis not only entered into Pakistan but arranged suicide and terrorists attacks. 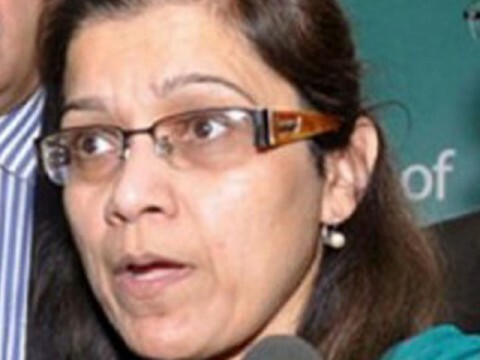 Now the wife of Haqqani Farah Asfahani who is busy in lobbying in USA for pressurizing Pakistan has said while protesting against the issuance of visa to Mansoor Ijazthat just only to prove her husband guilty visa has been issued to Mansoor Ijaz an American citizen (If Mr. Haqqani can issue visas to US terrorists than why an American citizen cannot be issued visa?). Here this should be kept in mind that the Blackberry text messages which were unveiled by Mansoor Ijaz in his allegations about Haqqani also mention role of Mrs. Haqqani as well, however the authenticity of these allegations can be only proved after investigation by Memo Scandal commission. 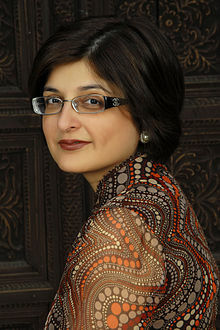 However the protest of Mrs. Haqqani shows that many elements within the Pakistani govt. are against visit of Mansoor Ijaz to Pakistan. The protest against these illegal visas issued to US contractors (terrorists) disguised as diplomats started in April 2009 when activities of these suspicious Americans were reported in Peshawar university town. This was revealed by German Press Agency ‘DPA’, who had already unveiled murder of 17 innocent Iraqis and injuring 70 by US contractors/terrorists of Black Water. This news break created much problem for Washington and Pentagon, after this report world came know that Americans are busy in genocide through rented terrorists like black water. Through this world got aware about role of Black Water, its terrorists and role of Black Water for American (terrorism) interests. When Black Water came into the spot light and world became aware of its terrorism, than not only protests started within America but few went to US courts, then this was revealed that US courts have no right to listen any suits relating to Black Water no matter how much big crimes are done by its terrorists. However due to protest the President of Black Water (The actual President of Terrorist State ‘USA’… Poor Americans) at that time Gerry Jacks changed its name from Black Water to XE, but does this change terrorist role of Black Water. The terrorist of XE did not end genocide of Iraqi people, so the German Press agency also kept following them and they disclosed the presence of these state terrorists of USA in Peshawar, Pakistan. Engineer Imtiaz Gul from University Town Peshawar was the first Pakistani who agreed to disclose facts to DPA, he revealed that few hundred yards away from his home is the head quarter of Black Water which was protected by foreigner equipped with latest weapons. They used to take target of everyone who passed nearby, they even harassed school children due to which whole area was afraid of them. Imtiaz Gul further told that when elders of the locality to Police Station they denied to provide any support. The reporter of DPA also disclosed that Black Water is operating in Pakistan with the name of CAII (Creative Associates International Inc.) in spite of its changed name XE and has made their head quarter in University Town, Peshawar. The security guards of CAII wore black suits with black glasses and used Pajero like Chevrolet Suburban for transport. This is the identity of Black Water terrorists. These people are working as NGO workers but are not ready to give up their identity. DPA disclosed that in spite of working as NGO these terrorists are involved in terrorism and militant activities, they are establishing links with criminal elements, they are also increasing their relations with unemployed or people biased against govt. policies and using such people for their interests/goals by paying them lucrative salaries. Unemployed youth of Baluchistan and KPK are their special target. There is no doubt that Black Water or XE might be using these unemployed persons for terrorist attacks against Pakistan army in Baluchistan and tribal areas as Black Water is doing so in Iraq too. When this report of German agency was published including international media Pakistani newspapers also reported news about activities of Black Water but our Interior Minister kept on beating the same old triumphant that if presence of Black Water is proved in Pakistan he will leave politics while he has no background in politics but has been imposed on Pakistan like bolt from the sky as agent to safeguard US interests. In spite of his claims when unrest of public was felt in the parliament, govt. made a committee under the supervision of Javed Hashmi for investigating about the presence of Black Water in Pakistan (these committees are just made to deceive nation and pay to the members of legislature for their silence over corruption). But Javed Hashmi always busy in serving public did not get time to investigate such an important issue relating to national security. This shows that our opposition leaders protest just to deceive nation and win their support orally without taking any practical steps. Otherwise if this had been investigated by Javed Hashmi than American terrorist Raymond Davis had not dared to murder two Pakistanis on 27 January 2011. 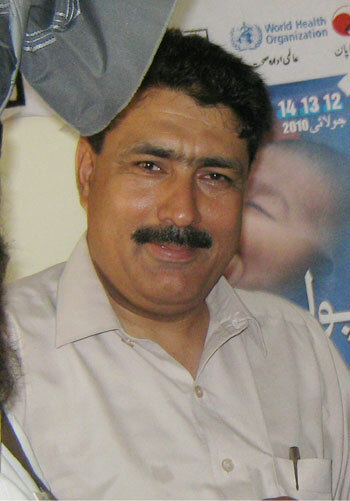 If we had stopped these US terrorists on time than neither Dr. Shakil Afridi of Abbottabad had been able to play role as traitor against motherland nor Americans would have been able to create the self made incident of presence of Osama in Abbotabad and dramatize it. Our govt. kept on denying that there is no presence of Black Water or any militant organization or NGO, in contrast to this on daily basis Traffic Police stopped suspicious vehicles with black glasses, the foreigners riding them were used to be equipped with automatic weapons and rockets, but on the interference of our (demon-cratic/US slave) govt. such vehicles and alleged terrorists were set free. What these terrorists of CIA and Black Water are doing in Pakistan this can imagined through a US movie, ‘From Paris with Love’. How agent/terrorist of CIA ‘Charlie Wax’ provided weapons to terrorists in Pakistan and targeted important places and personalities through these terrorist activities, same game terrorism game CIA has played in Iraq and Libya. 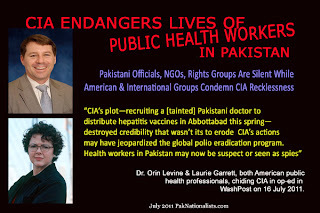 Not only this, terrorist organization of CIA used doctors as its agents in Abbottabad for searching Osama and organization of doctors had severely protested over this that such allegations of USA are insult for the profession of doctors. They have also tried to awaken the sleeping Pakistani nation through this sentence, “Your Next Pakistani Doctor Could Be a CIA Agent”. But alas no reaction has been observed from any medical association within Pakistan, this shows that unending war for power of corrupt politicians has paralyzed everyone with reference to safety of the mother land. This is the result of our ignorance of national security that American Ambassador supervised a training camp of CIA terrorists within the jurisdiction of Islamabad who were being prepared as a militia to protect American interests in Pakistan. Including ex-army personnel such criminals were being preferred in this US terrorist force who were not only able to use weapons but were ready to murder anyone without any reason. Apparently ex-soldier of Pakistan army Captain Syed Ali Zaidi was responsible for this camp who had made a security company with the name of ‘Inter-Risk Security’ for providing security US embassy in Pakistan. Not only this, Captain Zaidi had also established a camp in Rwat with the name of ‘Care and Carry’ where terrorists of CIA and XE were training so-called security guards of this company. Moreover here such unnamed persons were also being trained for which Zaidi had no record but their record was maintained by terrorists of USA. Later on this was revealed that US officials wanted access to such ex-soldiers of Pakistan army through Captain Zaidi who were expelled from army for not obeying military rules. This should be kept in mind that Captain Zaidi himself has been expelled from army through court martial. He was deployed on OP-Post in 1987 in Siachen at a height of 26000 feet, on the day he left post under the excuse of stomach pain, India attacked and captured that post. So he was expelled from army. The soldiers present on the post tried their best to defend the post and were all martyred. In the inquiry it was proved that Captain Zaidi had just made lame excuse of stomach pain.